Welcome to the 6th Sweden-Ukraine Business Forum, an event organized by the Embassy of Sweden and supported by the Swedish business community. The series of Forums started in 2012 and continues to demonstrate the strong Swedish interest and presence in Ukraine and the positive impact of our mutual relations. During 2016, Swedish export to Ukraine demonstrated record growth by 60 %, reaching the highest level since 2011. Ukraine also increased its export to Sweden by 21 %, which resulted in the highest export to Sweden since 2008. At the same time, the potential to further develop these ties remains immense. This year’s Forum will be held under the slogan “Sweden-Ukraine: Growing Together”, and its aim will be to bring our two countries even closer together and open Ukraine for Sweden and Sweden for Ukraine as destinations for business and investments, for our mutual benefit. In this context we will not only promote Swedish high quality exports to Ukraine, but also aim to promote Sweden as a free and open market with wide opportunities for Ukrainian producers to start exports. The seminar “Open Trade Gate Sweden”, organized in partnership with Swedish National Board of Trade, will provide practical information and tips for entering Swedish market. 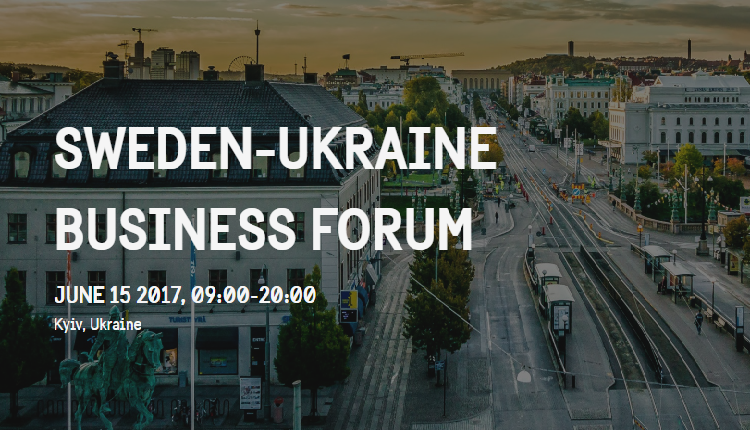 Join the Sweden-Ukraine Business Forum and grow with us! 09:45-11:00 Part I: Sweden-Ukraine: Growing Together. How to unleash full potential in trade?